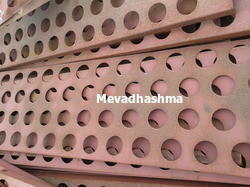 Mevadhashma Offers complete Electrostatic Precipitator Parts to its clients. The process of Electrostatic precipitation helps in removing particles from exhaust gas stream of an industrial process. As often the procedure involve combustion, this safeguard against emission of particles to the atmosphere. 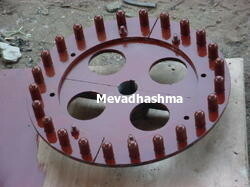 Mevadhashma works with industries to recommend to provide spares and replacement parts for any OEM. 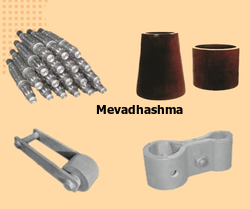 Mevadhashma Offers Quality of ESP Spares and Replacement Parts. We are specialized in manufacturing, exporting and supplying a broad collection of Electrostatic Precipitator. Our given range of electrostatic precipitator is manufactured in adherence with predefined guidelines & advance technology. We offered this electrostatic precipitator in different specifications to our customers. This electrostatic precipitator is valued in the industry owing to its optimum quality. The goodwill we have attained in the market is owing to our offered Dry Electrostatic Precipitators. The offered electrostatic precipitator is used to remove particles from exhaust gas stream of an industrial process by following the procedure of combustion. 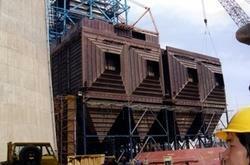 As well, our clients can avail this electrostatic precipitator from us in a set of specifications as per their needs. 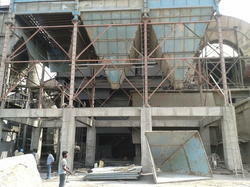 Our electrostatic precipitator is tested on various parameters so as to ensure its flawlessness. Mevadhashma is very know name of manufacturer and exporter for Suitable to Thermax Esp Migi Rapper Rods. We manufactuer Migi Coil Rapper Rods as per client 520mm, 770mm and 1016mm with both side tapper. Electrostatic precipitators are not only used in utility applications but also other industries (for other exhaust gas particles) such as cement, pulp & paper, petrochemicals , and steel (Sintering plant). We also offer field engineering services for trouble shooting,assessment and erection supervision of Electrostatic precipitators. Owing to our vast experience in this domain, we are engaged in offering a wide range of Electrostatic Precipitator Hopper Heaters. With an aim to stand tall on the expectations of our esteemed clients, we bring forth a distinguished assortment of Shaft Insulator For ESP. 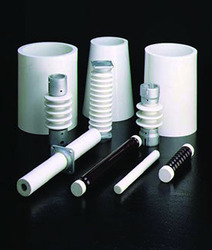 This shaft insulator is manufactured using top quality raw material and latest technology keeping in mind the set norms of industry. 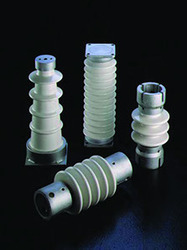 The offered shaft insulator is well known among patrons for its flawless performance & long service life. 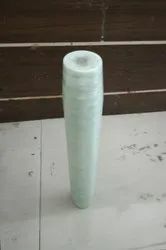 We are giving this shaft insulator to our customers in varied specifications at market leading rates. Leveraging on our vast industrial experience in this domain, we are devotedly engages in offering ESP Spare Parts. The offered spare part is manufactured by using top grade raw material and the highly advanced technology. As well, our clients can avail this spare part from us in a set of specifications as per their needs. Our spare part is tested on various parameters so as to ensure its flawlessness. Mevadhashma exporting vide range of emitting electrode for electrostatic precipitator application for cement plant, steel plant, power plant, paper plant, chemical plant, etc etc. 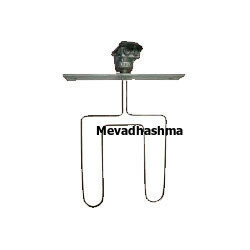 Mevadhashma offering electrodes are respect the OEM standard for SS316L and SS904L electrode with having ms hook. Mevadhashma deliverying the electrode with in 7 days for the required quantity to their customer with superior quality. Our company has relentlessly pursued excellence in its endeavor Electrostatic Precipitator GD Screens. This product is manufactured using top quality raw material and latest technology keeping in mind the set norms of industry. The offered product is well known among patrons for its flawless performance & long service life. We are giving this product to our customers in varied specifications at market leading rates. The Electrostatic Precipitator GD Screens And Plates offered by us are manufactured using optimum quality raw material and help in removing particles from exhaust gas stream of an industrial process. The procedure of combustion also provide protection from emission of particles to the atmosphere. In addition to this, we offer spares and replacement parts for any OEM.